The Dolphins traded Tannehill to the Titans on Friday, Adam Schefter of ESPN reports. The Dolphins are actively looking to trade Tannehill, Armando Salguero of the Miami Herald reports. Tannehill may be released during the offseason, Barry Jackson of The Miami Herald reports. Tannehill completed 18 of 31 passes for 147 yards and two interceptions while also rushing twice for nine yards and losing a fumble in Sunday's 42-17 loss to Buffalo. He finishes the season with 1,979 passing yards, 17 touchdowns and nine interceptions. Analysis: Tannehill's combination of injuries and ineffectiveness rendered him a nearly useless fantasy commodity for most of the season. The Dolphins, who were lucky to even achieve their mediocre 7-9 record, will likely try to get out of the $26.6 million they owe their 2012 first-rounder next season, as no team would even give him half of that total on the open market. Coach Adam Gase said Tannehill will start in the Dolphins' season finale at Buffalo, Armando Salguero of the Miami Herald reports. Tannehill completed 15 of 22 passes for 146 yards, one touchdown and one interception during Sunday's 17-7 loss to the Jaguars. He also rushed three times for 22 yards. Tannehill (shoulder/ankle) doesn't have a designation on the Dolphins' final injury report for Sunday's game against the Jaguars. Analysis: Limited at practice throughout the week, Tannehill may not be at his best in terms of arm strength and mobility, but there's no question he'll get the start in a must-win game for Miami. The Week 16 matchup favors a run-heavy approach, as the Jaguars rank fourth in yards allowed per pass attempt (6.7) and 14th in yards allowed per carry (4.4). The Dolphins offense can probably afford to play it safe with Cody Kessler taking snaps on the other side. Tannehill (ankle/shoulder) was a limited participant at Wednesday's practice. Analysis: Tannehill picked up the ankle injury during a Week 14 win over the Patriots and then took nine sacks in Sunday's 41-17 loss to the Vikings. He should be fine to face Jacksonville this weekend, though he may not be at his best in terms of mobility or arm strength. Given the weak opponent, Miami likely will try to lean on its rushing attack, which now features Kalen Ballage in tandem with Kenyan Drake in the absence of Frank Gore (foot). Tannehill (ankle) completed 11 of 24 passes for 108 yards and rushed once for one yard in Sunday's 41-17 loss to Minnesota. Analysis: Tannehill didn't turn the ball over, but that's about the only positive takeaway from his performance. Miami could barely move the ball, with the Dolphins' two touchdowns coming on a pick-six and a 75-yard run by Kalen Ballage. Don't expect much offense from either team when the Dolphins host the Jaguars in a battle of Florida-based franchises in Week 16. Tannehill (ankle) will start Sunday's game at Minnesota, Omar Kelly of the South Florida Sun Sentinel reports. Analysis: Tannehill picked up an ankle injury Week 14 against the Patriots that limited him in each practice this week. 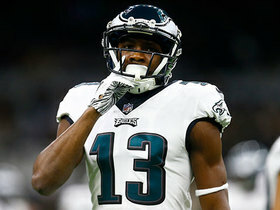 To ensure he has the proper mobility, he's expected to have his right ankle heavily wrapped against a Vikings defense that has given up 236.1 yards per game but just a 15:12 TD:INT to quarterbacks in 13 games this season. Coach Adam Gase said Tannehill (ankle) looked good during practice Wednesday and will play in Sunday's game at Minnesota "unless something crazy happens," Adam H. Beasley of the Miami Herald reports. Analysis: Beasley agreed with Gase's assessment of Tannehill looking good Wednesday, noting that the quarterback moved around well even though his entire right cleat was covered in tape. While he may be slightly limited in terms of mobility, Tannehill doesn't seem to be in much danger of sitting out Week 15. 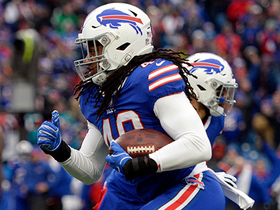 The bigger concern is his tricky road matchup with a Vikings defense ranked seventh in the NFL in opponent passer rating (86.7) and 16th in yards per attempt (7.5). Tannehill (ankle) was spotted on the field at practice Wednesday, Armando Salguero of the Miami Herald reports. Analysis: While it remains to be seen how the Dolphins will list Tannehill's participation level, his presence on the field Wednesday is a good sign with regard to his status for Sunday's game against the Vikings. Thanks to their improbable last-second win over the Patriots in Week 14, the Dolphins sit at 7-6 and remain in the AFC playoff hunt. As a result, Tannehill will no likely do whatever he can to be on the field this weekend. Tannehill (ankle) is walking around without any help Monday, Cameron Wolfe of ESPN.com reports. Analysis: Tannehill missed part of the second quarter in Sunday's 34-33 win over the Patriots, returning after halftime to eventually play a role in the thrilling finish. He's still dealing with some soreness Monday, but Wolfe and Armando Salguero of the Miami Herald both get the impression Tannehill will be fine to start Sunday in Minnesota. The quarterback figures to be limited, at best, when the Dolphins release their initial Week 15 practice report Wednesday. Tannehill had a limp and his right ankle taped following Sunday's 34-33 walk-off win over the Patriots, Adam H. Beasley of the Miami Herald reports. 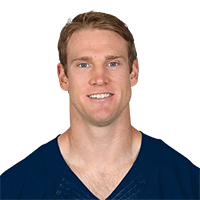 Tannehill, who headed to the locker room during Sunday's game against the Patriots with a possible ankle injury, was able to return to the contest. 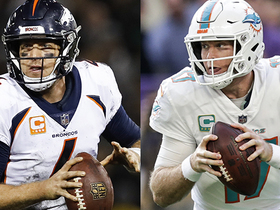 Analysis: Brock Osweiler finished up the first half at QB for the Dolphins, but fortunately for the team, Tannehill was able to return to the field at the start the third quarter of Sunday's contest. Tannehill headed to the locker room during Sunday's game against the Patriots with a possible ankle injury. Analysis: Tannehill has been working through a shoulder issue, but the injury that forced him out of Sunday's contest is a new one. Brock Osweiler is now in at QB for the Dolphins. 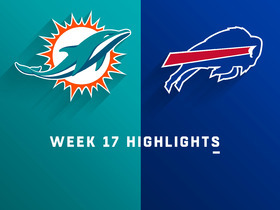 Tannehill completed 16 of 24 passes for 137 yards with three touchdowns and one interception in the Dolphins' 21-17 win over the Bills on Sunday. He also lost five yards on three rushes. Tannehill (shoulder) logged full practice participation Wednesday through Friday ahead of Sunday's game against the Bills, Cameron Wolfe of ESPN.com reports. Tannehill (shoulder) was a full participant in Wednesday's practice but did mention that he feels some general soreness, Joe Schad of The Palm Beach Post reports. Tannehill said he didn't have any issues with his (right) throwing shoulder in Sunday's 27-24 loss to the Colts, Joe Schad of The Palm Beach Post reports. Tannehill completed 17 of 25 pass attempts for 204 yards and two touchdowns Sunday against the Colts. He also carried three times for 14 yards in the 27-24 loss. Analysis: Tannehill made his first start since Week 5 after recovering from a shoulder injury. He averaged a respectable 8.2 yards per attempt, but the team limited his exposure by using a balanced approach in this one. Tannehill threw long touchdown passes to Kenyan Drake and Leonte Carroo, which accounted for over half his yardage on the day, and he managed to avoid turnovers in the narrow loss. All in all, this was a solid return for Tannehill, who will face a tough Bills defense next Sunday. Tannehill (right shoulder) does not carry an injury designation for Sunday's game against the Colts. Head coach Adam Gase said Friday morning that there will be no limitations for Tannehill (shoulder), Joe Schad of The Palm Beach Post reports. Analysis: It's a bit unclear whether Gase was referring to Friday's practice or Sunday's game, but regardless, Tannehill remains on track to play and start in Week 12. The Dolphins listed Tannehill (shoulder) as a limited participant on Thursday's estimated practice report, Armando Salguero of the Miami Herald reports. Tannehill (shoulder) was listed as a limited practice participant Wednesday, Armando Salguero of the Miami Herald reports. Analysis: Coach Adam Gase has already named Tannehill as the Dolphins' starting quarterback for Sunday's game against the Colts, and with no reported setbacks since that announcement, it's assumed that his limitations were simply maintenance-related. According to Cameron Wolfe of ESPN.com, Tannehill looked to be throwing normally in the open portion of Wednesday's practice, which validates the notion that he hasn't experienced any setbacks. Coach Adam Gase confirmed after Tuesday's practice that Tannehill (shoulder) would start Sunday's game against the Colts, Adam H. Beasley of the Miami Herald reports. Tannehill (shoulder) appeared to be throwing without any pain at practice Tuesday, Joe Schad of The Palm Beach Post reports. Tannehill (shoulder) has increased his throwing program to include throws up to 50 yards, but it isn't clear if he'll be ready to practice Tuesday, Cameron Wolfe of ESPN.com reports. Tannehill (shoulder) threw without pain Sunday, Barry Jackson of the Miami Herald reports. "That was the start of their throwing progression after so many off," coach Adam Gase said Monday. "It seemed like it went well. It's not like he's out there throwing 60-yard throws. They have a progression of how they want to do it. They said it was a good first step and he felt good. So that's a positive." Analysis: Sunday's session included an unknown number of throws, after which Tannehill didn't feel any discomfort. To date, he's missed five consecutive games with a right shoulder injury related to the capsule that surrounds the joint and rotator cuff tendons. The Dolphins are entering their bye week, so his next chance to return to action is Nov. 25 at Indianapolis. If Tannehill doesn't make the requisite progress, though, Brock Osweiler will continue to direct the offense. Tannehill (shoulder) is scheduled to begin throwing a football next week with the hope of playing Nov. 25 against Indianapolis, but Armando Salguero of the Miami Herald believes that plan may be overly optimistic. Tannehill (shoulder) has been ruled out for Sunday's game in Green Bay, but the Dolphins still hope he'll be ready to play Week 12 against the Colts, Armando Salguero of the Miami Herald reports. Analysis: As expected, Tannehill will be held out for a fifth consecutive game ahead of the Dolphins' Week 11 bye. The team is hopeful he'll be ready to go immediately thereafter, but coach Adam Gase admitted Wednesday that he isn't sure if the quarterback has made meaningful progress in his recovery from the shoulder capsule injury, according to Salguero. Brock Osweiler will get at least one more start this weekend, with possibly more to follow. Tannehill (shoulder) wasn't seen throwing during Wednesday's practice, Cameron Wolfe of ESPN.com reports. Analysis: With Tannehill still not cleared for full activity, the stage appears set for Brock Osweiler to make another start in Week 10 against the Packers. Look for coach Adam Gase to make an announcement on that front later Wednesday. Assuming Tannehill ends up being ruled out, his next chance to play would arrive Nov. 25 against the Colts, with the Dolphins on bye in Week 11. Coach Adam Gase admitted he isn't sure if Tannehill (shoulder) will be ready to return after a Week 11 bye, Cameron Wolfe of ESPN.com reports. Tannehill (shoulder) isn't likely to return for Week 10 at Green Bay, Adam H. Beasley of the Miami Herald reports. The Dolphins announced Friday that Tannehill's lingering right shoulder injury is related to the capsule that surrounds the joint and rotator cuff tendons, Armando Salguero of the Miami Herald reports. Coach Adam Gase relayed that Tannehill's lingering shoulder injury isn't a sprain, Cameron Wolfe of ESPN.com reports. Tannehill (shoulder) has been ruled out for Sunday's game against the Jets, Armando Salguero of the Miami Herald reports. Tannehill (shoulder) wasn't seen throwing during the portion of Wednesday's practice open to the media, Adam H. Beasley of the Miami Herald reports. Analysis: Though Tannehill's status for Sunday's game against the Jets hasn't been cemented, the fact that he's not yet throwing in practice doesn't bode well for his chances of returning from a three-game absence. Assuming Tannehill again remains unavailable, Brock Osweiler would get another nod at quarterback for Miami. Coach Adam Gase said he isn't sure what Tannehill (shoulder) will be able to do this week, Adam H. Beasley of the Miami Herald reports. Analysis: Gase expects to have more information Tuesday and did mention that Tannehill threw a tennis ball last week. While the early signs suggest a return for Week 9 against the Jets may be a stretch, it does at least seem the 30-year-old quarterback is making some progress in his recovery from an AC joint sprain. Brock Osweiler will get another start if Tannehill isn't cleared to play in Sunday's game. Coach Adam Gase said Friday that Tannehill (shoulder) is close to resuming a throwing program, Cameron Wolfe of ESPN.com reports. "I don't want to put him in a position to where he relapses and we could do this [rehab program] all over again," Gase said. Coach Adam Gase said Tuesday that Tannehill (shoulder) would be able to resume light throwing at practice, Safid Deen of the South Florida Sun Sentinel reports. Coach Adam Gase said Tannehill (shoulder) won't start Thursday's game against the Texans, Cameron Wolfe of ESPN.com reports. Analysis: Tannehill was listed as a limited participant on Monday's practice report estimate, but it isn't a good sign to see him ruled out this early in the week. Brock Osweiler will get at least one more start while the Dolphins' starting quarterback recovers from an AC joint sprain. It's unclear if Tannehill has a decent chance to return for Week 9 against the Jets, but Gase does at least expect the quarterback to resume some form of throwing this week, per Wolfe. Tannehill (shoulder) was listed as a limited practice participant Monday, but he still isn't expected to play in Thursday's game against the Texans, Cameron Wolfe of ESPN.com reports. Analysis: Monday's report was merely an estimate, as the Dolphins didn't actually practice one day after a 32-21 loss to the Lions. It appears Brock Osweiler will get at least one more game under center, likely playing with an injury-depleted receiving corps on a short week. Tannehill is recovering from a sprained AC joint and reportedly wasn't able to throw at all last week. Tannehill (shoulder), who has been ruled out for Sunday's game against the Lions, didn't do any throwing at practice Friday, Barry Jackson of the Miami Herald reports. Coach Adam Gase said Thursday that Tannehill won't require surgery to address what's believed to be a sprained AC joint in the quarterback's right shoulder, Joe Schad of The Palm Beach Post reports. Tannehill (shoulder) has been ruled out for Sunday's game against the Lions, Cameron Wolfe of ESPN.com reports. Tannehill (shoulder) was on the field for the start of practice Wednesday, but wasn't seen throwing during drills, Adam H. Beasley of the Miami Herald reports. Analysis: Tannehill's practice limitations Wednesday confirm that he remains in the day-to-day category as Sunday's game against the Lions approaches. If he's unable to play this weekend, Brock Osweiler -- who racked up 380 passing yards in the Week 6 overtime win over the Bears -- would be in line to draw another start at quarterback. Coach Adam Gase continued to label Tannehill (shoulder) as day-to-day during Monday's press conference, Armando Salguero of the Miami Herald reports. According to Adam H. Beasley of the Miami Herald, Gase relayed that he doesn't know if Tannehill's shoulder setback is a long-term concern. "It's really going to be about how he feels," Gase said of the quarterback. Coach Adam Gase relayed after Sunday's overtime win over the Bears that he didn't know if Tannehill's shoulder issue is long term or day-to-day, Armando Salguero of the Miami Herald reports. Analysis: Tannehill's Week 7 status is thus cloudy until further details regarding his injury are available. Brock Osweiler will handle the Dolphins' first-string QB reps until Tannehill is deemed healthy. Tannehill (shoulder) is inactive for Sunday's Week 6 tilt against the Bears, Cameron Wolfe of ESPN.com reports. Tannehill (shoulder) -- whose status for Sunday's 1:00 ET game against the Bears is viewed as up in the air, is looking doubtful for the contest, Adam Schefter of ESPN relays via ESPN's Jeff Darlington. Analysis: Added clarity on the situation will arrive upon the release of Miami's Week 6 inactives, but at this stage, it looks the team may be forced to start Brock Osweiler against the Bears. Tannehill's (shoulder) status for Sunday's game against the Bears is considered "up in the air" with the 1 p.m. EDT kickoff less than four hours away, a source informed Adam Schefter of ESPN. Tannehill (shoulder) is listed as questionable for Sunday's game against the Bears after logging a limited practice Friday, Armando Salguero of the Miami Herald reports. Analysis: Tannehill practiced fully both Wednesday and Thursday, so his addition to the injury report Friday is notable. We'll have to see if his limitations were precautionary, or indicative of something that could actually affect his Week 6 status, but fortunately for those invested in Miami's passing game this weekend, the Dolphins kick off at 1:00 PM ET on Sunday. Brock Osweiler is Tannehill's top backup. Tannehill completed 20 of 35 passes for 185 yards, a touchdown and two interceptions while adding three rushes for 17 yards and losing a fumble in Sunday's 27-17 loss to the Bengals. Tannehill completed 11 of 20 passes for 100 yards with no touchdowns and one interception in the Dolphins' 38-7 loss to the Patriots on Sunday. He also rushed once for no yards and lost a fumble. Tannehill completed 17 of 23 pass attempts for 289 yards and three touchdowns Sunday against the Raiders. He also carried three times for 26 yards in the 28-20 win. Tannehill completed 17 of 23 passes for 168 yards and two touchdowns while adding 44 yards on eight carries and losing one of two fumbles in Sunday's 20-12 win over the Jets. Analysis: Tannehill guided his team to a 20-0 halftime lead with touchdown passes of 29 yards to Albert Wilson and 19 yards to A.J. Derby. He lost a fumble deep in his own territory after New York cut it to 20-6 in the third quarter, but Jets quarterback Sam Darnold promptly gave the ball right back with an interception in the end zone. The former college wide receiver put the game away with his legs, rushing for first downs with carries of 14 and eight yards as Miami ran out the clock on the final drive. Tannehill completed 20 of 28 passes for 230 yards, two touchdowns and two interceptions while also running four times for five yards in Sunday's 27-20, Week 1 win over the Titans. Analysis: Both of Tannehill's touchdowns went to Kenny Stills. The first was a 10-yarder in the second quarter while the second was a 75-yard deep strike in the fourth. While thunderstorms delayed this contest into the night, Tannehill showed a great ability to stay focused and lead his team to victory. The Dolphins defense also bailed its quarterback out after his mistakes, as each of Tannehill's interceptions was followed by a Miami interception on the ensuing drive. Tannehill was not sporting a knee brace at practice Friday, "perhaps for (the) first time all camp," Chris Perkins of The Athletic Miami notes. Analysis: Lingering knee woes derailed Tannehill's 2017 season, but the QB appears to be approaching Week 1 in good health. It remains to be seen if shedding the brace is a temporary thing, but in any case Tannehill is gearing up for what should be his final action of the preseason Saturday against the Ravens. Tannehill is preparing for his final action of the preseason Saturday against the Ravens, Shandel Richardson of the South Florida Sun-Sentinel reports. 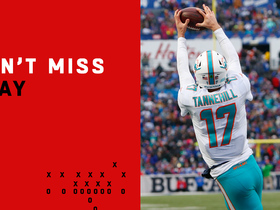 Tannehill completed four of six passes for 32 yards in Thursday's 26-24 loss against the Buccaneers. Tannehill will play in Thursday's preseason contest versus the Buccaneers, Adam H. Beasley of the Miami Herald reports. Tannehill participated in Miami's first official practice of training camp Thursday wearing a brace on his surgically repaired left knee, Jeff Darlington of ESPN.com reports. Analysis: Tannehill, now nearly a year removed from his ACL tear, did not wear a brace during OTAs. Despite the reappearance of a brace, Tannehill confirmed after practice that his knee remains without issue. 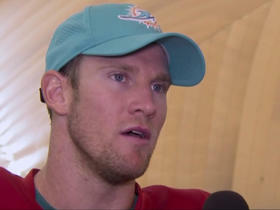 "I'm going to wear it in games, so [wearing it in practice] is just to get used to it," Tannehill said. Full participation in training camp is great news for the 30-year-old quarterback, who will use the time to build rapport with new receiving weapons Danny Amendola, Albert Wilson and Mike Gesicki. Tannehill participated in team drills Wednesday without a brace on his surgically repaired left knee, Joe Schad of The Palm Beach Post reports. Tannehill (knee) isn't expected to have restrictions at OTAs this week, Ian Rapoport of NFL Network reports. Dolphins coach Adam Gase said Tannehill (knee) will be ready for Organized Team Activities in May, Adam H. Beasley of the Miami Herald reports. Tannehill (knee) has agreed to restructure his contract with the Dolphins, a move that reportedly saves the team $11.2 million in cap space this year, according to Armando Salguero of the Miami Herald. Analysis: The agreement cements Tannehill's status as the team's top QB heading into the coming season. With Jarvis Landry having been traded to the Browns, Tannehill will now be throwing to newcomers Danny Amendola and Albert Wilson, as well as holdovers DeVante Parker and Kenny Stills. That's a capable wideout quartet on paper, but the release of Julius Thomas will presumably lead to the Dolphins revamping their tight end corps in short order. Tannehill (knee) is expected to serve as the Dolphins' starting quarterback in 2018, per head coach Adam Gase, ESPN.com's Rich Cimini reports. "Ryan is going to be our starting quarterback, and I don't see that changing anytime soon," said Gase. "I think that when we get back out there in spring and get going, I just know it's going to be really good to have him back." Tannehill (knee) is expected to participate in some capacity during the Dolphins' offseason program, which begins in April, Barry Jackson of the Miami Herald reports. Dolphins head coach Adam Gase confirmed Wednesday that Tannehill (knee) will be the team's starting quarterback in 2018, Joe Schad of The Palm Beach Post reports. Tannehill was in attendance for the Dolphins' practice Thursday and went through his own workout, with the team's coaching staff impressed with how he's recovered since undergoing reconstructive surgery on his left knee four months ago, Adam H. Beasley of the Miami Herald reports. 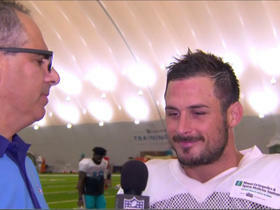 "It was good seeing [Tannehill] bouncing off those knees and jumping. His feedback is that he really feels good and that he's on pace and on the timeline he needs to be on. So that's really encouraging," offensive coordinator Clyde Christensen said. Miami Dolphins QB Ryan Tannehill discusses his time on the sidelines, his relationship with head coach Adam Gase and what it's like to have running back Frank Gore on the team. NFL Network's Gregg Rosenthal discusses a potential "Trade Tsunami" that could sweep the NFL this offseason. 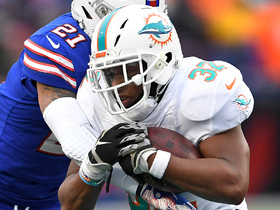 Miami Dolphins wide receiver Kenyan Drake runs past Buffalo Bills defender on a 19-yard catch and run. 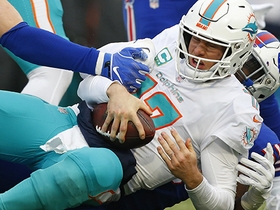 Buffalo Bills defensive end Shaq Lawson sacks Miami Dolphins quarterback Ryan Tannehill for a loss of 8 yards. 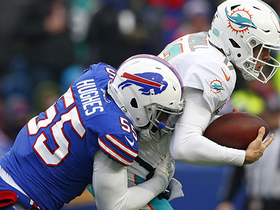 Buffalo Bills defensive end Jerry Hughes bulldozes through the offensive line to sack Miami Dolphins quarterback Ryan Tannehill from behind for a loss of 9 yards.